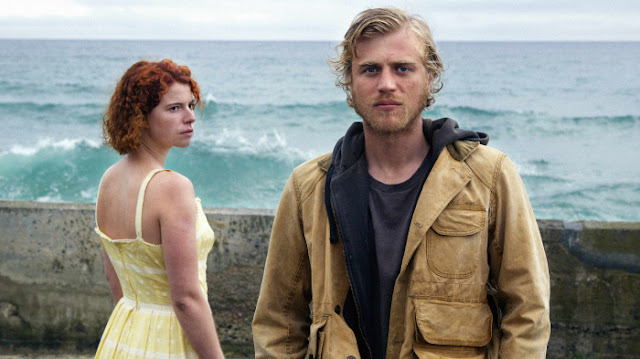 30WEST announced today that they are partnering with Roadside Attractions on the U.S. theatrical release of Michael Pearce’s Beast starring Jessie Buckley (Taboo, War and Peace), Johnny Flynn (Clouds of Sils Maria, Song One) and Geraldine James (45 Years, Calendar Girls). 30WEST acquired the North American distribution rights from Protagonist Pictures out of the Toronto International Film Festival where it premiered to critical and audience praise. Beast will make its U.S. debut in the Spotlight section of the Sundance Film Festival in January with Roadside Attractions eyeing a Spring 2018 release in North American Theaters. The psychological thriller, which is the first feature-length project from writer/director Pearce, centers around a small island community where a troubled young woman falls for a mysterious outsider who empowers her to escape from her oppressive family. When he comes under suspicion for a series of brutal murders, she defends him at all costs and learns what she is capable of. The deal was negotiated directly by 30WEST and Cohen and d’Arbeloff on behalf of Roadside Attractions. 30WEST has quickly become an important player and formidable partner for theatrical distribution, after acquiring the domestic rights at the Toronto International Film Festival, along with NEON, to Craig Gillespie’s I, Tonya, starring Margot Robbie. 30WEST/NEON will release the film in theaters on Dec. 8th. During the Toronto International Film Festival, 30WEST also sold the rights to Morgan Spurlock’s fast-food documentary Super Size Me 2: Holy Chicken! to YouTube Red.